Enjoy a money saving 3-in-1 swimming pool sanitation solution with Relax 2kg Multi-Function Swimming Pool Chlorine Tablets which contain slow dissolving chlorine, algicide and clarifier to work together in fighting three core threats to healthy swimming pool water. Great product which stops algal growth and keeps water looking lovely, clean and clear. We bought it on the recommendation of our pool maintenance man and it does the job well. Good plastic container to keep individually wrapped tablets moisture free. A good price for an Excellent product. Saves a lot of time rather than mixing up different chemicals. Well packaged and arrived in super-quick time! 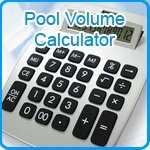 This is an easy way of keeping your pool sparkling and balanced in this combination product. Excellent price and service. Goods well packaged and delivery all on time.